Just in time for Halloween. Now your walk can match your talk! 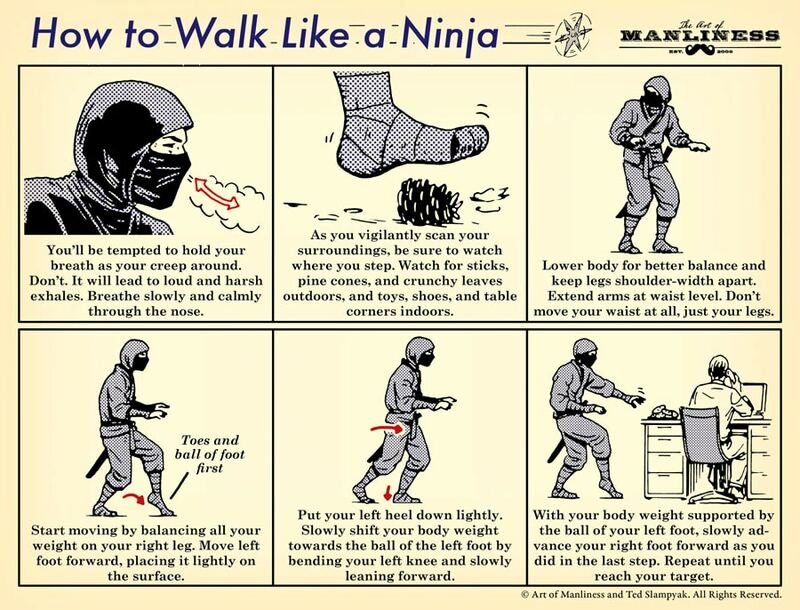 With Halloween just around the corner, there’s no better time to learn how to walk silently through the night like a ninja. It’s an incredibly useful skill, allowing you not only to stealthily assassinate your archenemy, but also steal cookies from coworkers, check to see if toddlers are still sleeping without waking them, or sneak across your creaky wood floors to scare the bejeezus out of your roommate. Inspired by Secrets of the Ninja by Ashida Kim. I stumbled upon this book back when I was in middle school. Definitely a fun read.